I recently came across two great best practices for building trust virtually: one to use with your team and one to use with your clients. For your team: A virtual happy hour. I hosted one of these a few weeks ago. We gathered various members of my team from various parts of the US (including different time zones) for 45 minutes using Zoom, so we were all on video. We called it a “happy hour” (as the old saying goes, it’s 5 o’clock somewhere) and I invited everyone to join with their drink of choice—alcoholic or otherwise. We had no work agenda other than to connect with one another, which we did by taking turns sharing something about ourselves that others would be surprised to learn. After each person spoke, I took the opportunity to briefly acknowledge the critical role they play on the team, and we raised our glasses in a toast to him or her. It was so much fun. And yes, I had a moment or two of concern before the meeting that the absence of “agenda” would make our time together seem unproductive and “fluffy.” No worries there—we had a ball and the time flew by. One team member on Mountain Time (3pm) even ceremoniously uncorked a bottle of wine when the meeting began. In my mind’s eye, I have a picture of her pulling the cork out with her teeth, but I’m pretty sure that only happened in my revisionist memory. For your clients: A $5 gift card and an invitation for a virtual coffee. I can’t take credit for this idea, though I sure wish I could because I think it’s brilliant. The gist: send your client a gift card (physical or electronic) for a local coffeehouse and suggest they might use it to “meet” you online for a coffee/tea break—a distinctive gesture that is much more likely to get their attention than the typical meeting request. Even if you don’t manage to connect for that break (though I bet you will), they’ll surely think of you when they use their gift. In all our virtual relationships, we have to compensate for the loss of familiarity that naturally happens when we meet in person. Think about it: When you and your stakeholders are co-located, contact is more frequent, visual cues enrich communication, and there are more opportunities for casual social interaction—all of which contribute to trust-building. Building and maintaining trust in virtual relationships can be simple and relatively quick. It just needs to be intentional. This week, send an invitation for a virtual happy hour or a virtual coffee break. What kind of response do you get? 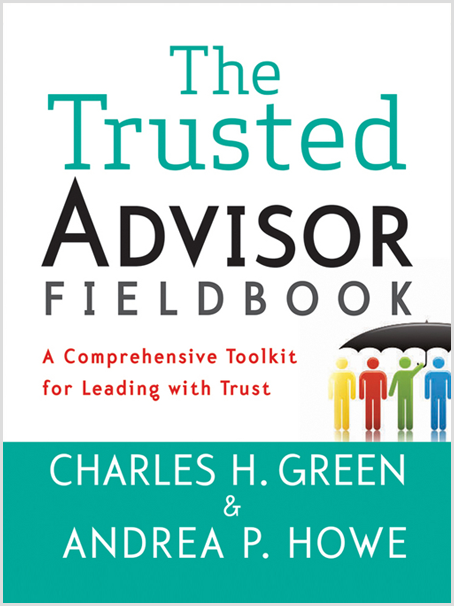 Read more tips for trustworthy virtual teaming, from our friends a Trusted Advisor Associates, or brush up on tips for building trust at a distance in Chapter 27 of The Trusted Advisor Fieldbook.